In an age when TV sitcoms are really struggling and networks are really having to fight for viewers, there is at least one show that is truly thriving. The Big Bang Theory has been going strong for almost 10 whole seasons now and if all goes well, and all signs now point to that being the case, there will be plenty more Big Bang on the way. It looks like CBS knows what they have, and they are putting up the money to make sure that The Big Bang Theory will continue on at least through season 12. According to a new report from Deadline, CBS is close to working out their deal with Warner Bros. to renew The Big Bang Theory for two more seasons. This was confirmed by CBS during a recent call that was being held to discuss the network's quarter 4 earnings. 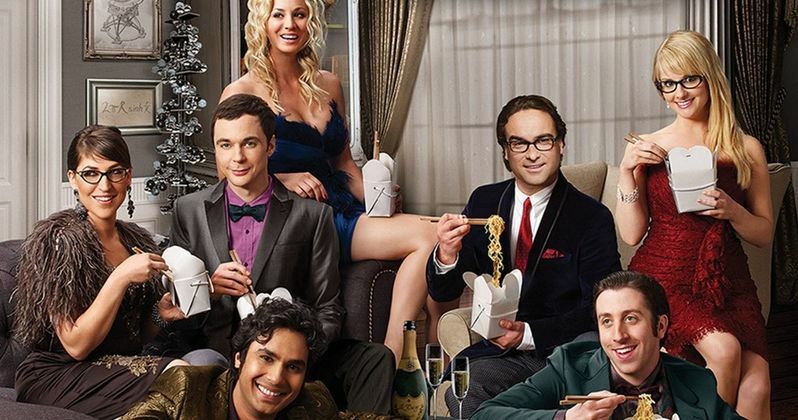 Perhaps more importantly, the report notes that cast members Jim Parsons, Johnny Galecki, Kaley Cuoco, Simon Helberg and Kunal Nayyar are all in "final negotiations" for new two-year contracts, which would bring the series to a grand total of 12 seasons. Back before The Big Bang Theory season 8 entered production, CBS had issues closing new deals with the cast members, but that doesn't appear to be the case this time. Here is what the report had to say about the new deal for the cast. "I hear the five original stars, Parsons, Galecki, Cuoco, Helberg and Nayyar, are getting the same salary under "most favored nations" terms, ensuring financial parity among the quintet. The paychecks are believed to be pretty close to what the five are making this season, around $1 million an episode." The Big Bang Theory co-stars Melissa Rauch and Mayim Bialik are also going to need to re-up on their contracts should CBS complete the deal to bring back the hit comedy for two more seasons. The report notes that if the five core cast members for the series get their deal done, it will make things easier moving forward with Melissa Rauch and Mayim Bialik, who didn't become regulars until The Big Bang Theory season 4. They are reportedly making $175,000 an episode currently, which is quite a bit less than the $1 million per episode that the other members of the cast are currently making. It is expected that, since they have both become major parts of the show since their last deal was made, they will be getting a serious pay bump for the next two seasons. All of these salaries for the actors, coupled with the production budget for the show are making The Big Bang Theory a very expensive show to produce. According to Deadline, the show is nearing production costs of $10 million per episode, which really adds up over the course of 24 episodes per season. That said, CBS has made nearly $1 billion from syndicating The Big Bang Theory alone, so it is money well spent. Here is what TNT and TBS president Kevin Railly had to say about it in January. "If there was another Big Bang Theory, I can promise you we'd buy it." CBS is currently developing a Big Bang Theory spinoff called Sheldon, which will focus on a younger version of Jim Parsons' character and his family, which is looking to make it to air next year. So they are definitely trying to cash in on the series in any way they can. The Big Bang Theory is a true anomaly in terms of success in the modern landscape, as it is the number one scripted show on TV, bringing in more viewers than even Sunday Night Football can manage, with an average of more than 20 million viewers per episode. That being the case, it is no wonder that CBS is eager to keep the series going as long as they possibly can.